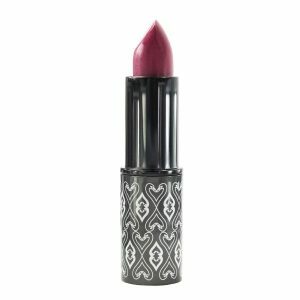 Shop for all your Lipstick Makeup here from a variety of different brands. Greener Beauty is always vegan, always cruelty free, only ever ethical brands and always toxic chemical free. Choose your colour to match your outfit and your mood. The matt, moisturising and velvety texture provides comfort and durability for a simple, chic smile. It contains precious oils and plant extracts that provide nutrients and moisturisers, leaving lips soft and smooth. The Kiss Kiss Bang Bang Palette features five alluring shades of matt, satin and pearly lipsticks. 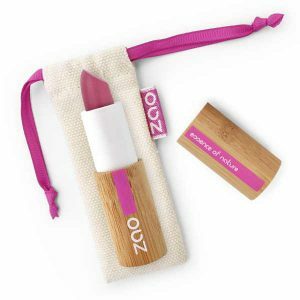 100% natural, certified organic and vegan, the bamboo palette is also refillable to reduce plastic waste. Featuring a panoramic mirror and lip brush, this palette slips easily into your handbag for on-the-move touch-ups. The Winter Chic Palette is a collection of 5 products for cheeks, lips and eyes. 100% natural, certified organic and vegan, the palette comprises a pearly and creamy blush that doubles as a lip colour, a creamy lipstick in a dazzling winter red purple shade, two pearly eyeshadows for a glam eye makeup look, and a black eyeliner cake. This gorgeous palette comes with a panoramic mirror and double tip brush for precise application of lip colour and eyeliner cake, and what's more, this palette is refillable so when you have finished using it, you can choose from new products and shades for 2018 to update your look.